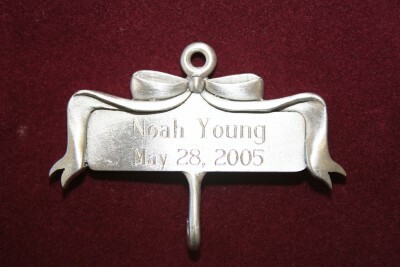 Made to be customized with engraving. 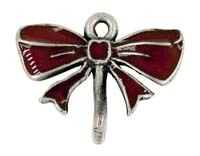 This authentic pewter Bow Hanger allows for up to 2 lines of 15 characters each line. Engraving is included in the price. These are great to hang ornaments from, whether selected from our vast number or from another quality ornament. Made in the USA by our skilled craftsmen.